This 2 bedroom apartment is located in Riccione and sleeps 6 people. 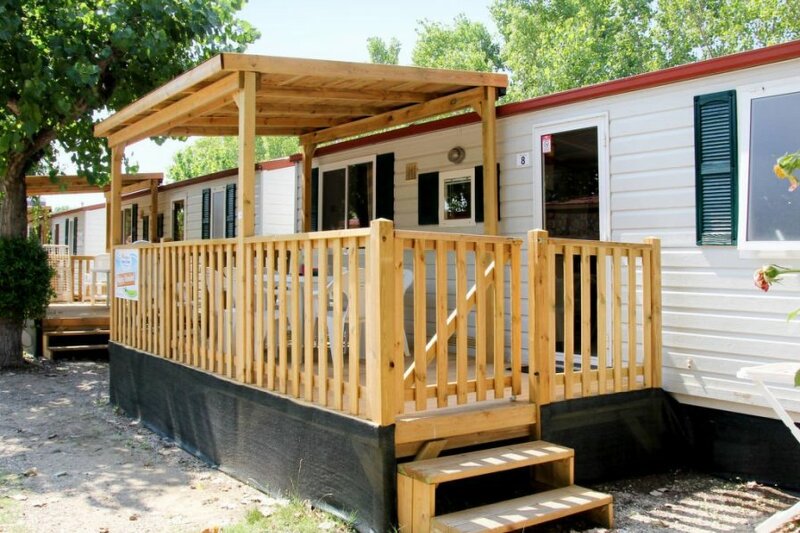 Feature: Property on a campsite (340 units in total). Please note: The owner does not accept any youth groups. Equipment: combined heating/air conditioning (in the living room). Estate (shared use with holiday guests): approximately 4 ha, closed plot, trees. Sports facilities/ leisure time: shared use (free of charge): table tennis table, children's playing equipment. Entertainment: included: sport animation (available during the whole season, approximately mid May until mid September). Day care: included: animation for children, children's club (available during the whole season, approximately mid May until mid September). Bar/cafe, restaurant, snack bar, food shop. Beach service: at the beach: (payment). Important information: On Monday mornings all pools are closed for cleaning. Terrace 9 m² (partially roofed, wood terrace), furnishing provided. The agent describes this apartment as a family friendly holiday rental ideal for the summer holidays. For younger guests there is some vibrant nightlife not too far away. It is also good value for money. This apartment is located in Riccione. The nearest airport is 136km away. It is set in a convenient location, just 0 metres away from a beach and 3.5km away from the city center. There is an entertainment park nearby. The apartment is suitable for activity holidays during the summer as well as family friendly summer holidays.